1. 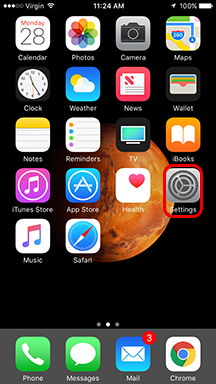 From your home screen, you will tap on the Settings icon. 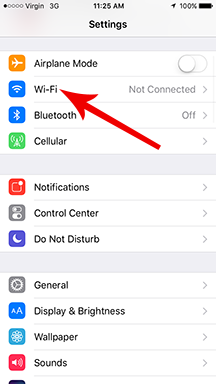 Note: If you have an iPhone 6s or later you can use the Force/3D touch feature on the Settings icon and select the Wi-Fi option. 2. Under the Settings menu, tap on the Wi-Fi icon. This will take you to a menu of all the available Wi-Fi networks. 3. 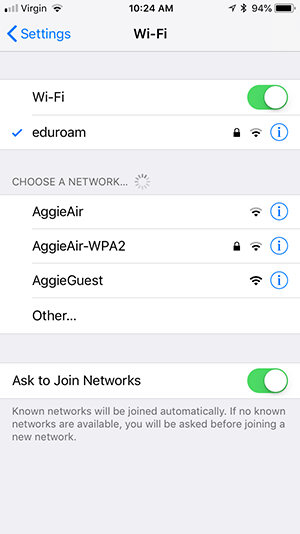 The Eduroam network is available to all students, staff, and faculty that have a valid NMSU email. Once you see the Eduroam network tap on the name. This will prompt you to enter a Username and Password. You will need to enter your full NMSU email in "Username" and your myNMSU Password/Passphrase in "Password". Type these fields in and tap Join. Note: Your Wi-Fi option must be toggled to on before these options will appear. This can be done by gently sliding the round toggle switch in this screen to the right. 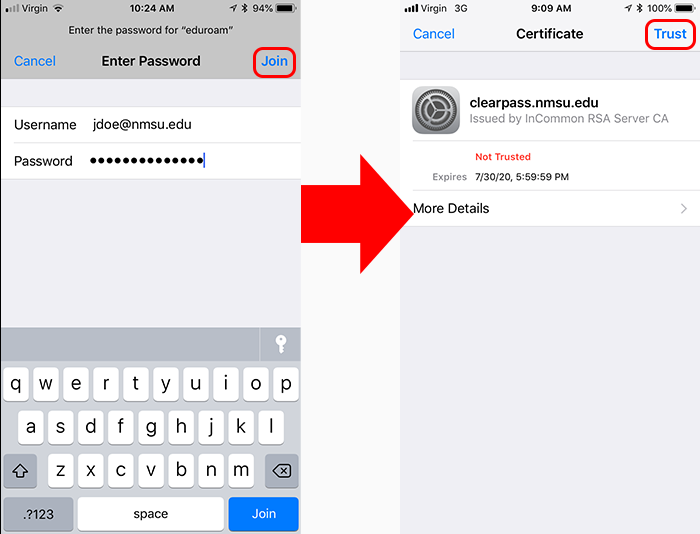 Note: After you tap Join there will be another screen then prompts you to Trust clearpass.nmsu.edu. Tap Trust in the upper right-hand corner of your screen to connect. 4. After this is completed there should be a small blue checkmark next to the network name to indicate that you are connected.